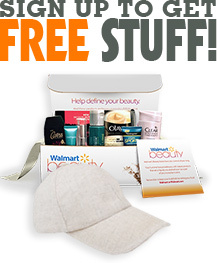 (Deal ends 8/16) HOT FREEBIE ALERT! New TopCashback members can grab FREE All PowerCore Pacs Super Concentrated Laundry Detergent! Head on over to create an account here. If you already have an account, TopCashback does not limit one account per household so have your family member join and take advantage of this freebie. Important: Follow the steps below exactly (Only Works for New Members). If you do not follow the steps carefully, you may miss the $11.07 cashback. I’ve marked important parts in bold below: Follow these steps: Click here to get started Click on the pink “Get Offer Now” Button – On MOBILE? Make sure to scroll to the very bottom of page to click on “View Desktop Site“. Otherwise, the cashback button is missing on mobile You’ll be redirected to sign up. (This promo is for new members only) [Important] After signing up, Click back here, and click on “Get Cashback” again. Add ONE $9.97 All PowerCore Pacs Super Concentrated Laundry Detergent (50 ct) at Walmart and head to checkout (Important: Do not add anything else to your cart. It must only contain one Detergent priced at $9.97. If the price changes, the deal is over) Pay for your order. That’s it! $11.07 cash back will show in your account within 14-days and can be credited straight to your checking or PayPal account. 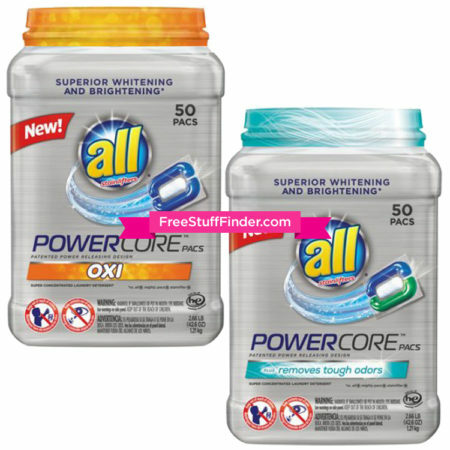 Final Price: Free 50 count All PowerCore Pacs Super Concentrated Laundry Detergent!